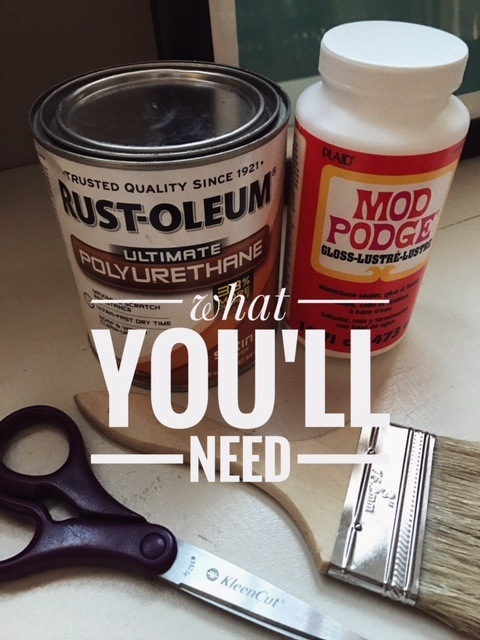 If I could, I would gut my kitchen and have custom made cabinetry! Since that is not an option with 5 girls needing to go to college, I find contentment in the small things. The inside of my drawers were getting yucky from my constantly wiping and cleaning them out. The cheap press board interiors just looked....gross! I could've just lined them with a store bought drawer liner, but that doesn't use much creativity. 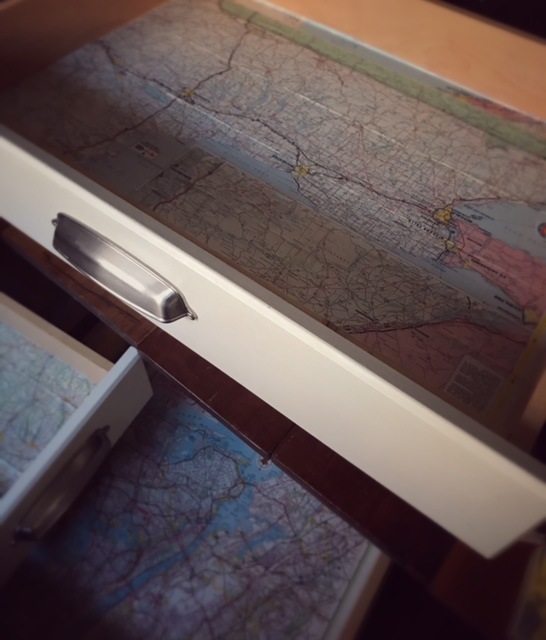 So.....I decided to use maps for my drawer liners. Truth be told, I have a particular affinity for maps! As you will see in future projects, I have even used them to line my walls! There is something about their color and design that just makes me happy. So why not use them to line the drawers? Now every time I open a drawer to get a utensil, there is a colorful surprise that makes me smile! And.....VOILA!!!! HAPPY DRAWERS! 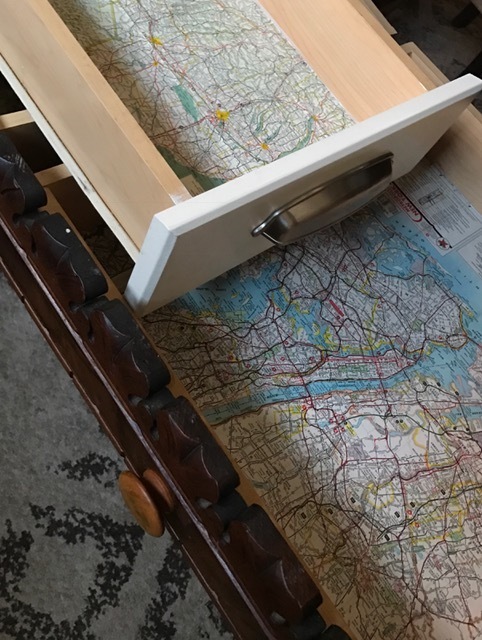 For very little investment, other than your time and some simple materials/supplies, you can make an improvement that not everyone will see, but will make you feel a sense of satisfaction and joy every time you open a drawer.